Your suitcase isn't complete without this maxi beach dress. 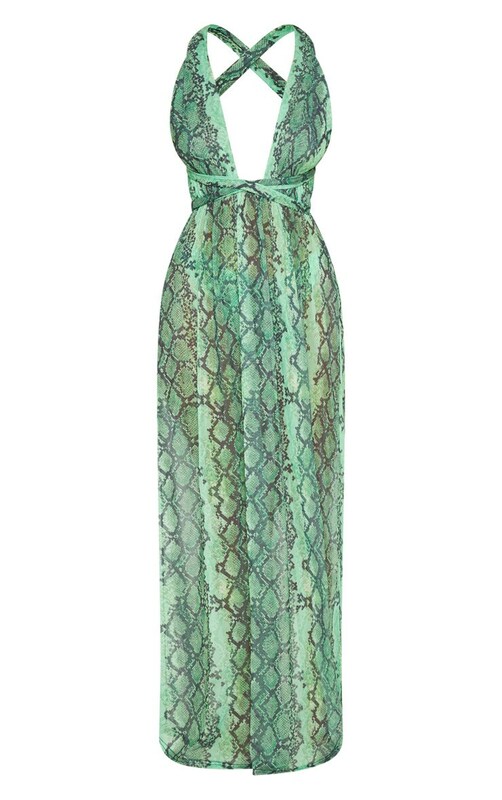 Featuring a green snake print, slinky mesh fabric, plunge halterneck and a tie waist. We love this teamed with a bikini and sunnies for vacay vibes.